After years of years of working and competing in the cycling world, Cheshire Cycles business owner, Mike Carlin, felt there was a need for a repair service where a personal, one to one level of customer service, along with welcoming, helpful and knowledgeable staff was top of the agenda. Early 2013 saw the opening of our brand new 600 sq/ft workshop. 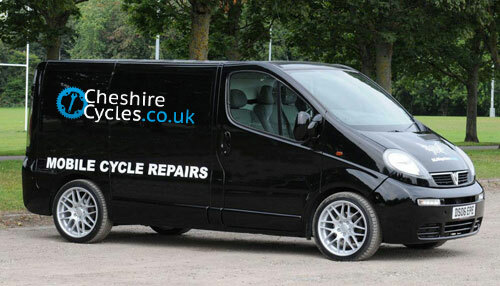 As one of the largest cycle workshops in the North West of England, Cheshire Cycles can now continue to expand at a rapid rate by increasing its repairs up from last year’s 100 bikes/week summer repairs.With our a Mobile Repair Service offering repairs to anywhere in the North West. Mike has come from a long background of competitive cycling. 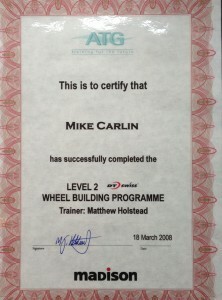 Starting in 2002 by entering the Tyketrial Regional events, Mike moved up from intermediate to expert class within 1 year. By 2004 Mike was travelling all over the UK and into France to compete, entering the World level competition in Fontainebleau named ‘Koxx Days’ and was improving month on month. 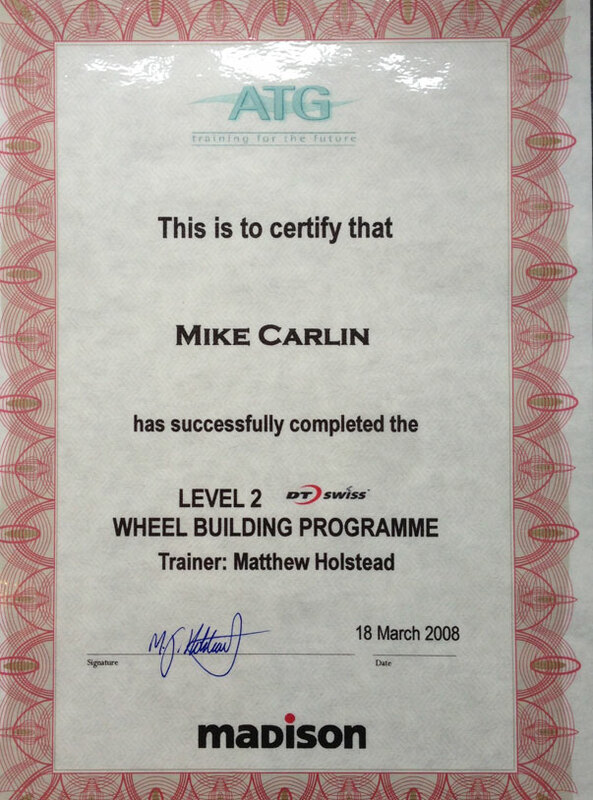 2006 saw the competitive end of Biketrial for Mike as he worked toward opening his first shop. Mike achieved Cytech 2 level during his second year working at the store alongside generally getting out and about on the Trail. Mike Currently rides a Intense Tracer 275C but be quick, as he is usually leaping off any number of jumps and trails. 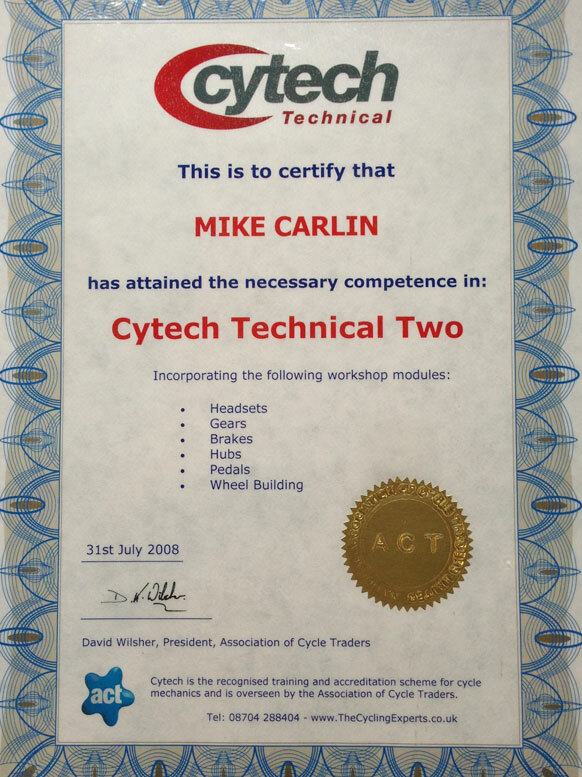 Cheshire Cycles also employee’s 2 further mechanic’s both carrying Cytech 2 Accreditation. Dan has been working with Cheshire Cycles since it’s inception and is now our Head Mechanic. Well versed in all things mountain, he has raced competitive Downhill in courses throughout the world including Whistler and Les Gets.